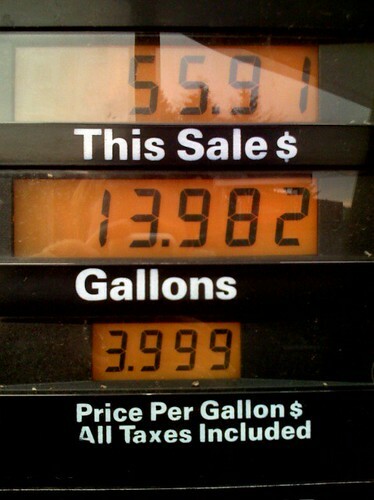 Chrysler recently rolled out their new car buying incentive Let’s Refuel America. The idea behind the plan is to guarantee a $2.99 price per gallon to all those who buy their vehicles. There are a few conditions that apply (such as car model, type of fuel, and annual fuel limits), but overall it seems like a plan that would turn some heads, especially in a time where the cost of oil continually hits new highs (the price is at $124 a barrel as of 5/08/08). The Let’s Refuel America campaign is not only covered by traditional media outlets, but also generating a lot of buzz around the blogosphere and online in general. A Google search for “lets refuel America” yields over 744,000 results and Chrysler even has a PPC campaign setup targeting specific key words. Where their PPC campaign can potentially capitalize even more is through utilizing Google’s Placement Targeting (formerly known as Site Targeting). Placement Targeting is where advertisers can select web sites on the Google Content Network where they would like to advertise on, such as GasBuddy.com and LosAngelesGasPrices.com. With proper keyword research, placement targeting and compelling ad text, Chrysler can drive even more gas saving fanatics to their web site. While Google’s Placement Targetting is not always perfect, it’s potential should not be overlooked, especially with larger budget campaigns. Just wait til they release the Google Car. It won’t even run on gas, just the idea of collective information and the good faith of its users. And for the consumer who has less money and doesn’t mind a slower moving vehicle there is the Yahoo Car. The upside to driving a Yahoo Car…there will be less traffic. It’s really funny to me that we are getting excited over a $2.99 gas price, which is still pretty exuberant. I’d rather see these companies putting their time and money towards alternate forms of propulsion. Then MSN will come out with a car. It will be somewhat complete when they release it but will probably have bugs and need patches which they will deny till they have a fix for it. Then Apple will come out with the iCar. A sleeker, glossier, metallier car using only multi touch interfaces, including the steering wheel. Then when you drive it home you just plug it into iTunes to charge. But of course the hackers will figure out a way to jailbreak the iCar allowing them to charge it with a linux based charging station. Have I killed this yet? As nice as this sounds, I wonder if this deal would even be around in the long term. Yes, everybody would love cheaper gas at a “reasonably-low” set price, but given the way the oil industry is like, it will be a long way off till they significantly lower their prices. I have to fill my car with premium, so this really affects me. Patented 2000 – 2008… Maybe not.